It’s been a little hectic. I plead first burnout, then boot camp, then a much-needed and God-given holiday over Easter. So this post (the third one in the whole of April – how sad) is about the week of the 3rd of April – two weeks ago. First, I must share these amazing show photos from the training show. Fine Photography never disappoints. pony jumps fabulously while I hold the neck strap. What are my feet and face even doing?? Jamaica has proven his ability to jump quite happily while I cling to the neck strap in panic. 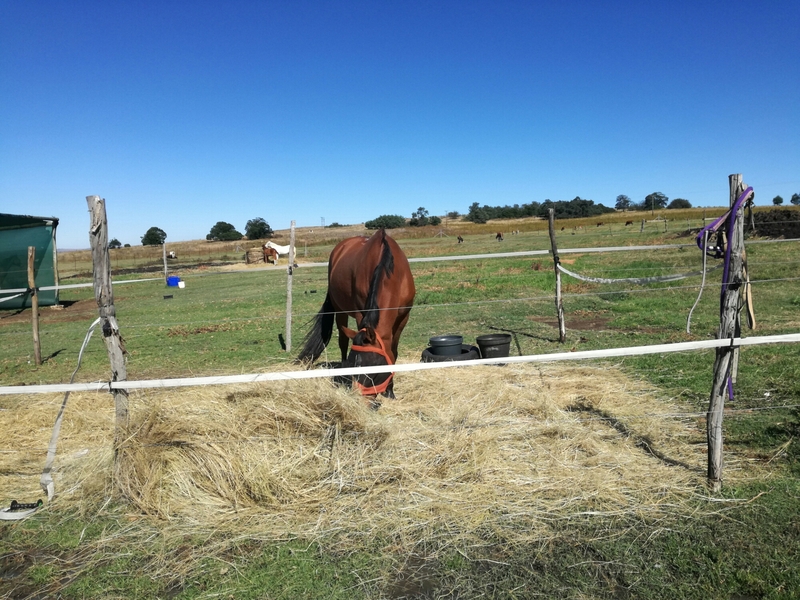 We’re jumping 80cm at home on my bad days and 90cm on my good days and he’s still got plenty of scope to burn, as evidenced by his hauling my bum out of trouble on a regular basis. The unpleasant little brat is almost gone and is now showing his true nature as a really quite dependable, genuine and willing sort of guy. Realising that my work here is mainly done, I felt I was quite robbing his owners by making them pay me to build my confidence on their horse. Hence, starting next month, Jamaica will be on half lease with me with the aim of jumping Module 5 on him. I think he has the scope and I feel brave on him and he’s very good at jumping even when I’m glued to the saddle in a state of non compos mentis, which is the only possible way I’ll be jumping a 1.00m course anytime soon. 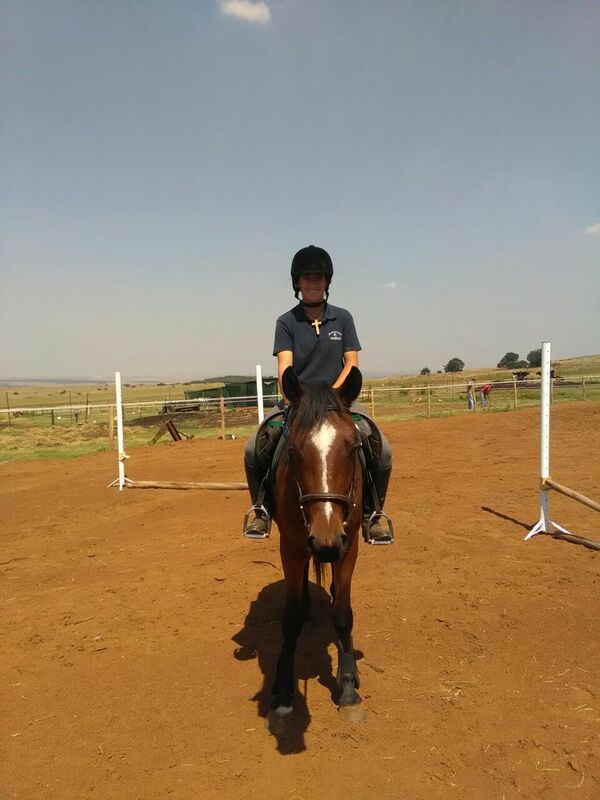 In preparation for our cross-country schooling the next Monday, we also finally went on a hack again for the first time since he broke his child. No arms were broken at all, and he actually behaved quite perfectly, although we did just walk. Lancelot had a fairly easy week, which I like to give him after a show because his little brain tends to fry very quickly. We did do the 10-steps exercise, which was so hard for his concentration span that I’m sure I saw a few wisps of smoke coming out of his ears. He tried very hard though. I think I need to get video of him under saddle because I think I’ve missed something. I’ve always thought his trot was his most correct gait but in this exercise he struggled the most with transitions out of the trot. I’m not too sure what he’s doing with his body. Having finally sorted out the lunging issue with Trooper, I plopped myself on board without further ado. He has been ridden before and is surprisingly forward-going, for Trooper. 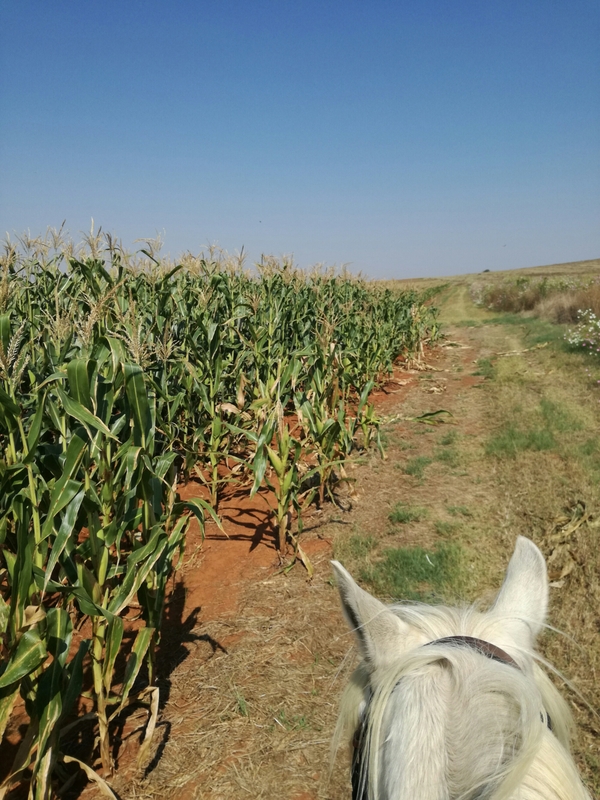 We have walk/trot and a few steps of canter without a single hesitation or spook (I don’t think he knows what a spook even is). As expected he can tend towards wanting to nap but the habit isn’t established so one or two flicks with my magic pink wand should sort him out quite briskly. 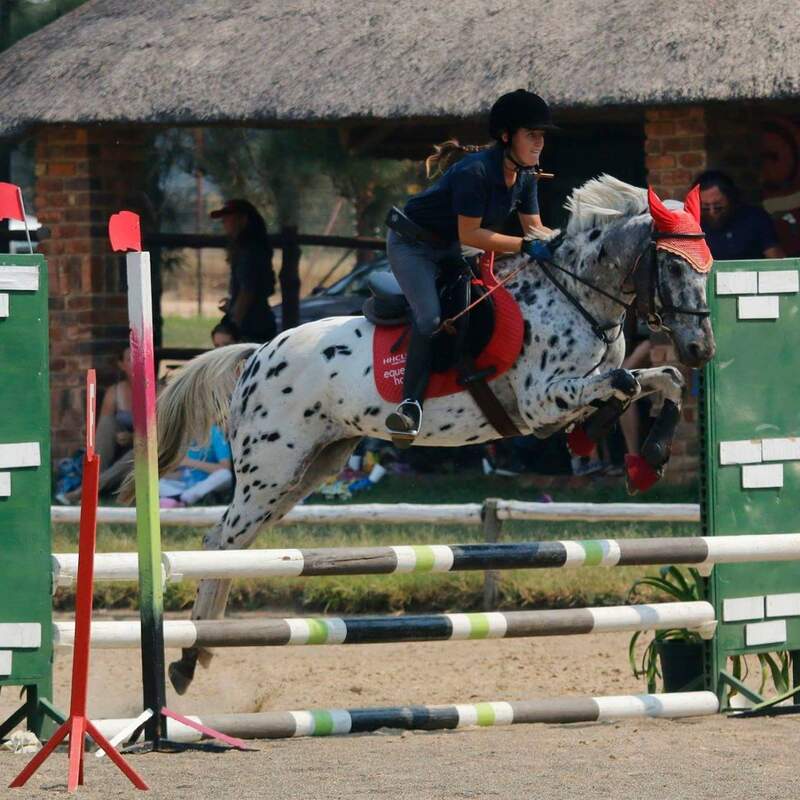 Magic and I actually jumped a bit this week, something we haven’t done seriously in ages, all the way up to 70cm. He was having a very good day so I wasn’t too surprised when he happily packed me over each fence with enjoyment and enthusiasm. Taking the pressure off has been so good for us. Faithy had her feets done for the first time on Wednesday. She’s been good about having them cleaned and I played with holding them between my knees and on my lap like a farrier does, so she didn’t put up too much of a fight. She did drama queen a bit about having to hold them up for so long, apparently. She has lovely feet, as is to be expected of a Nooitie that’s never been messed with. Apart from desperately needing a clip, it’s been going very well with Destiny. To be honest I would rather like this to be his last month in training with me, depending on his owner, of course. He still has that dishonest little spook but he has three gaits in balance and rhythm including simple trot changes and has been over a little fence or two. 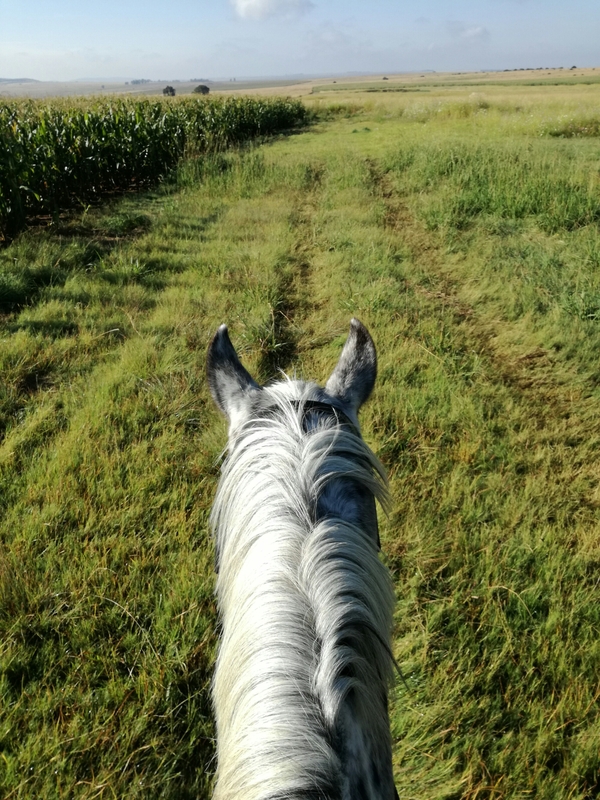 I’d like to get him thinking about connection and going on little hacks and then I think my work here is pretty much done. His owner handles him better than I do at this stage; he’s safe enough for her and she can handle his naughtiness, and they don’t have the personality clash that he and I do. Of course, he might blow up in my face on his first hack and put an end to that idea while I try and fix that, but I doubt it. Contrary to all appearances, Arwen has been working hard and doing endless dressage. 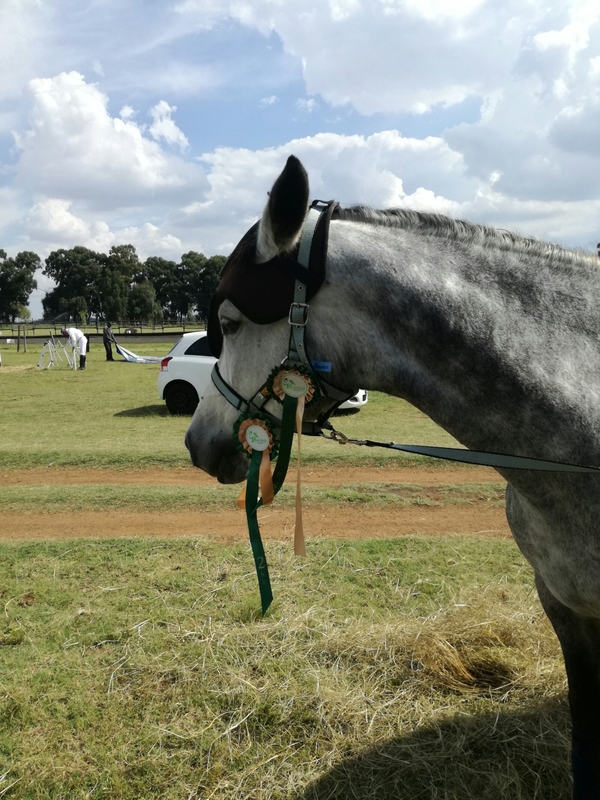 We had a show on the Sunday, our first graded Elementary, and for the first time in a long time I was more excited than nervous. The judge at the last one was unbelievably constructive and helpful, not in that she was over-generous with the marking but just kind enough to say good things as well as bad things. I don’t know if judges know what a profound effect their attitude can have on the trajectory of a horse and rider’s career. Us dressage types already tend to be perfectionistic and hard on ourselves; grumpy judges rather compound the problem. It really has nothing to do with the marks. It’s no blow to my confidence to get a 4 on a movement that I know we’re no good at, nor should it be. I just don’t like coming down centreline and feeling waves of disapproval radiating from the judge’s box. Anyway, Arwen and I have done endless mountains of simple changes and they should be a little better now. It’s more about me getting worried about them and crumbling forward and hanging on the reins than her not being able to do them. The show turned out to be disappointing for the dumbest reason. We had one grumpy judge and one super nice judge and neither were very impressed, giving us a 58 and a 59. 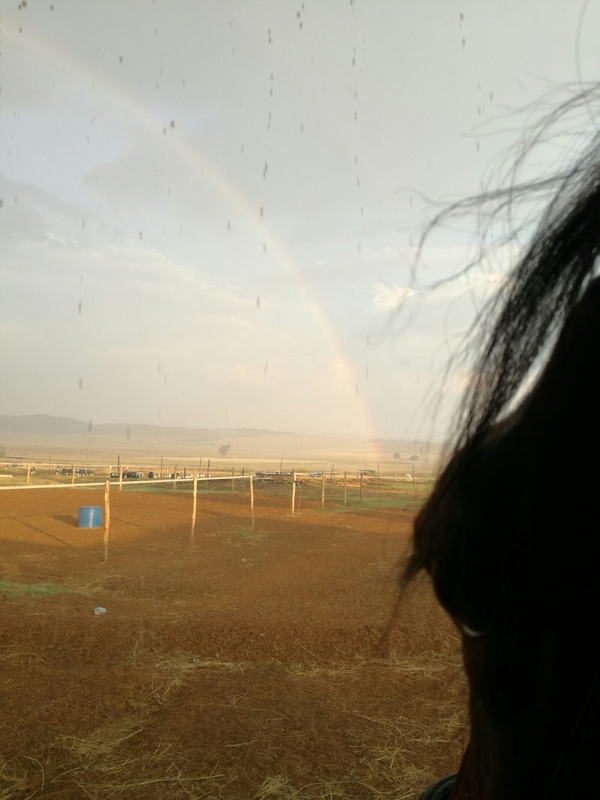 Arwen was as sweet as pie and as obedient as I could have asked for, but as I came down the centerline I realised I couldn’t remember the test. I had learned it and my dad was calling it and I still managed to promptly get an error of course. Bleh. Things kind of went downhill from there as I sort of sat there helplessly making mistakes, knowing full well what I was doing wrong and unable to persuade my floppy body to do anything about it. I felt I rather let Arwen down, not that she gives her left sock. Burnout is real, guys. It was a bummer to put so much work into something and then get there on the day feeling so drained that it was kinda for nothing. Still, we tried hard and honoured God so that’s the main thing. We also got 2 grading points – 8 to go. Thunder also went to the show and did his first Prelim. Apparently, despite being exhausted, I can ride Prelim in my sleep and he was a complete angel. 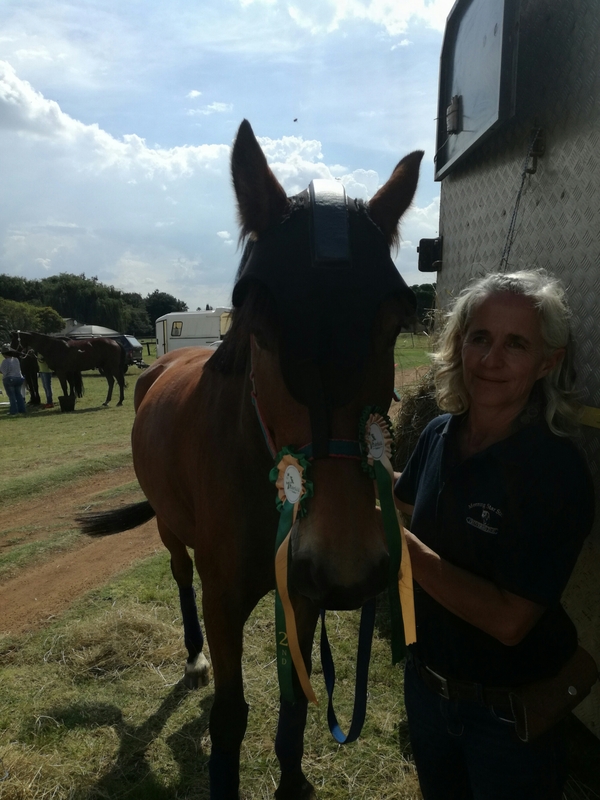 He had the odd whinny and one little spook and a little tension but his good moments shone and both judges were suitably impressed. He was second in a class of nine with two scores in the 66’s. “Lovely horse with presence. Lovely walk. Active rhythm. Promising” gushed the grumpy judge. “Promising” is something I do love to see on a test. He rides Prelim again this weekend under K and I can’t wait to see what he does. Lady Erin is enjoying the life of the grown-up, independent weanling under the watchful eye of the old queen herself. Skye has practically adopted her and I think it’s good for the little lady to have a field companion that sets a good example (usually) and doesn’t leave the field, to settle her in this crucial time. Milady has also forgotten all about her offspring and is busying herself about restoring her battered body to shiny fatness. Poor old Exavior has been badly neglected. 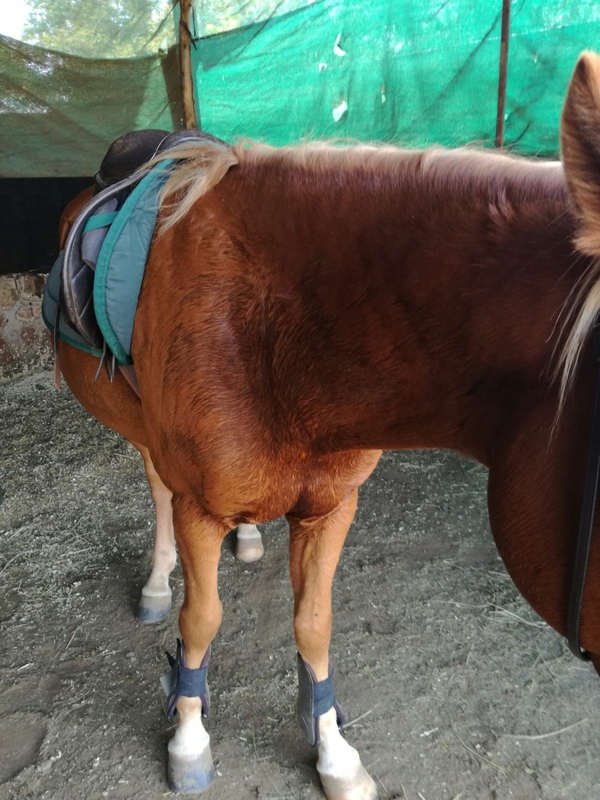 The Mutterer came out to ride him once and he was pretty good, although he did start chopping and threatening to rear once, so there’s no way I’m going anywhere near his saddle just yet. Midas has been working on his hacking, something he really enjoys. He didn’t spook at any cows this time, although to be fair none of them came charging over as they sometimes do, so it remains to be seen how he’ll handle that. Finally (best for last) I must introduce our new arrival, who arrived on the Friday. 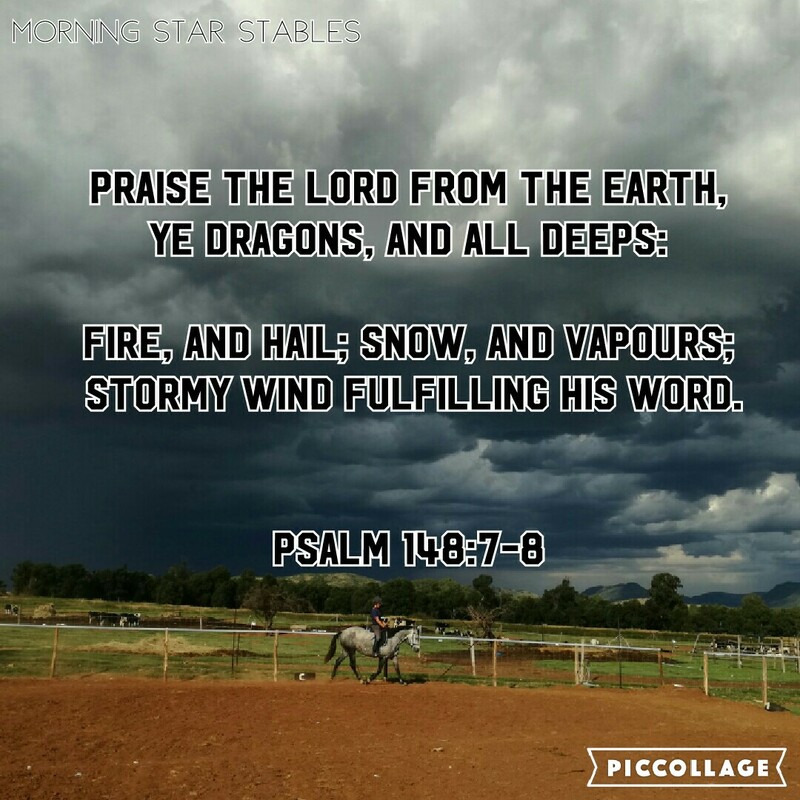 First, let me explain that God and I have this arrangement where I keep thanking Him for all the yard’s horses and trying to politely explain that we really do have enough now. And then He’s like, “Look what I have for you!” and I’m like “srsly Lord how are we gonna feed it” and He’s like “Just trust Me, darling” and I’m like “OK”. Ash is a registered Connemara (thus very rare in our country) in her teens. 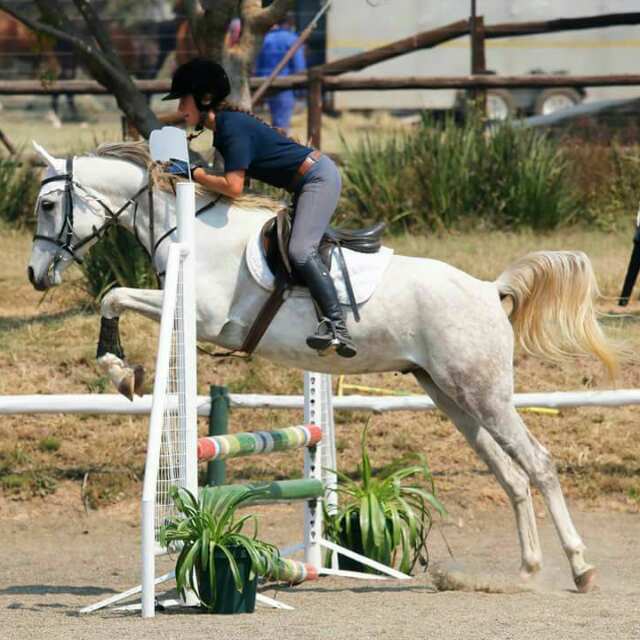 She was jumping the graded 1.00m under her lovely owner at shows, 1.20 (pony A-grade) at home, when she blew a tendon. Then she blew it again and her owner had to decide that retirement was best for her. 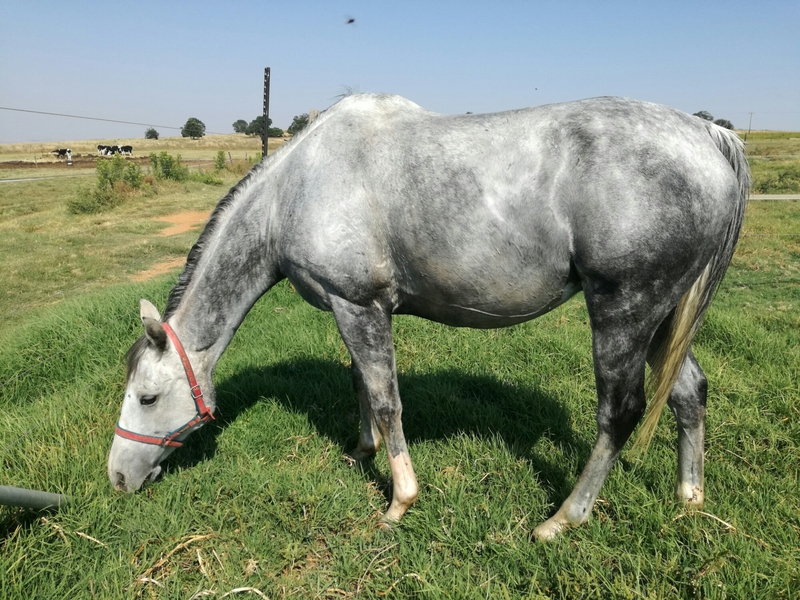 Apparently, a gorgeous super talented jumping Connemara broodmare is part of God’s plan for Morning Star Stables, so she fell right into our laps. 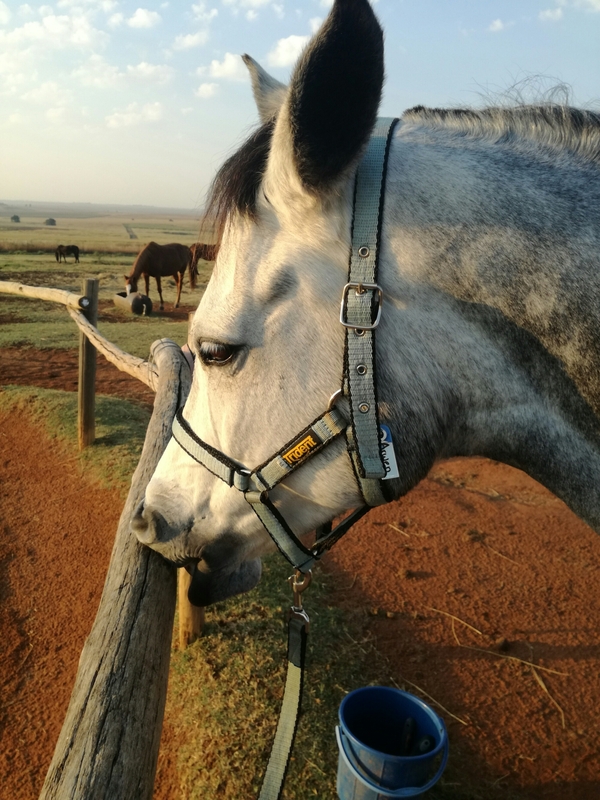 Ashy is the typical boss lady and a huge favourite, which is a good thing because she has to be walked for 25 minutes a day and the yard rats queue up for the honour. Next up, recap of boot camp, then it’s back to your regular posts, ladies and gentlemen. Glory to the King.